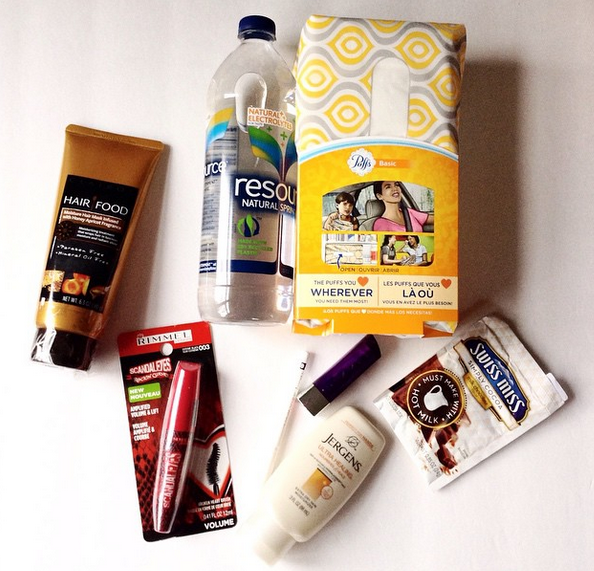 I recently received the #ModaVoxBox from Influenster this week! So here are the goodies that were inside! I am obsessed with the awesome curved brush on this mascara. It really helps give you an amazing curl. And the thing tip even reached my inner lashes so my eyes look even better now! Loving the color of this lipstick and I love that it doesn't dry out my lips like some do! What's a lipstick without a great lip liner. Completely clear, this lip liner really helps define my lips. I love the flexible outside packaging. Not only does it have a cute design on it but it's so easy to shove into a work bag, under the seat in my car, or really anywhere else I may need it. I saw this stuff a few weeks back in Target so I was stoked to get to try it out myself. It uses honey to coat and protect your hair and apricot oil to help hydrate. It smells SO good and I love the thick texture. It didn't add any gunk to my hair either so it was easy to style like usual. I use this in the shower and let it soak in for a minute or 2 before rinsing out. OMG Delicious!!! It comes in milk or dark chocolate. I got the milk chocolate and it only has 5 ingredients - sugar, cocoa, nonfat milk, salt, and natural flavor. No artificial crap! All you have to do is use hot milk and enjoy! I love that this lotion gives you luminous, healthier looking skin in just one week! It absorbs quickly into my dry skin! Resource water is 100% natural spring water that has naturally occurring electrolytes inside. It's so refreshing and pure after I workout!